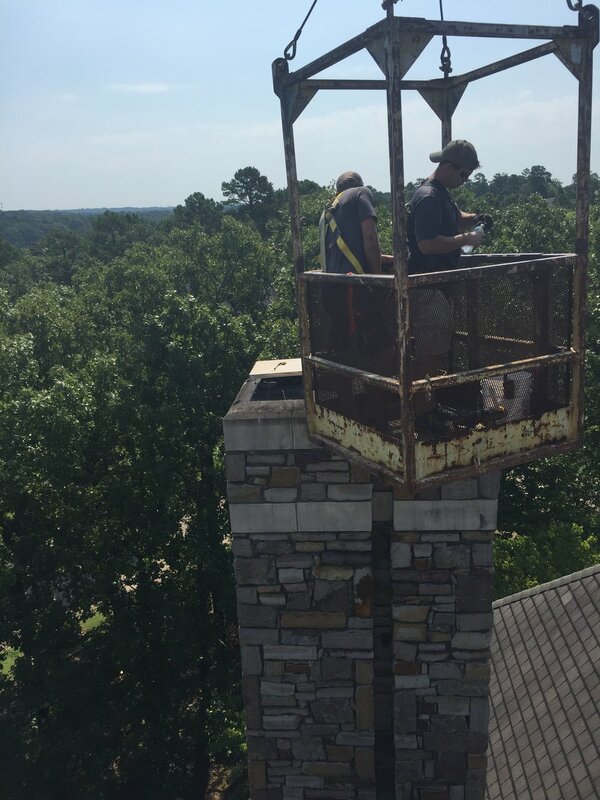 Chimney Inspection for maintenance issues. Chimney Inspections for real estate transactions. Required by NFPA 211. Proper installation of fireplace inserts, free standing stoves, pre-fab fireplaces, zero clearance pre-fab insert, or pellet stoves/inserts. Existing or new construction. Chimney Liner Repair, including installing stainless steel liners or FireGuard joint repair. Smoke Chamber Repair using Chamber Tech and/or Cerfractory Foam spray. 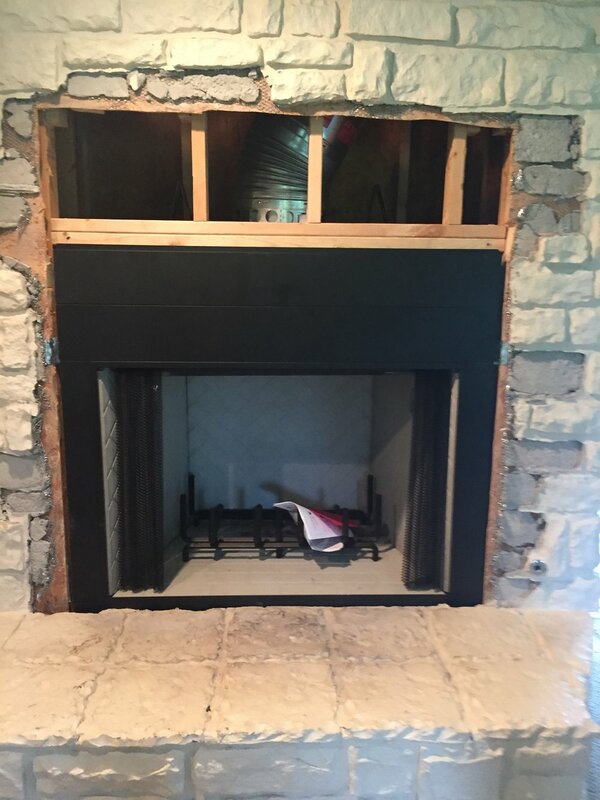 Complete “tear out” “change out” of your existing pre-fab fireplace. 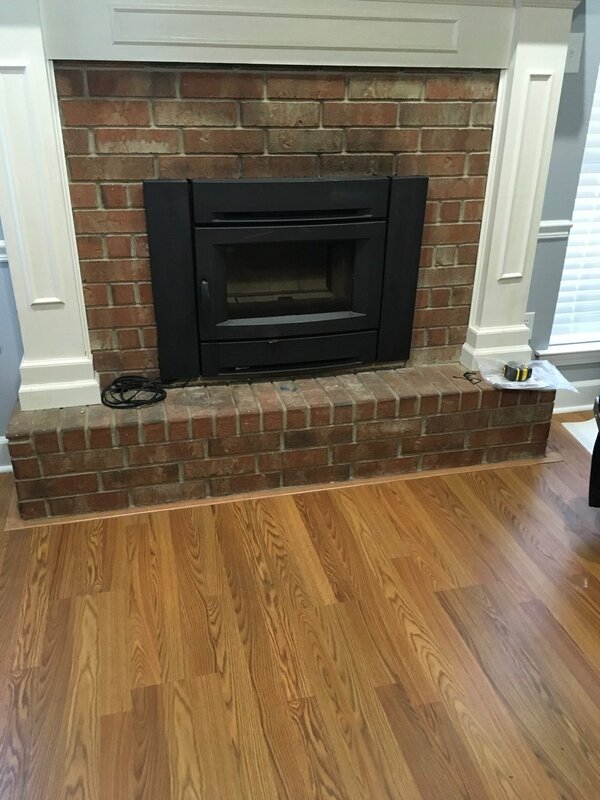 Can upgrade to an energy efficient fireplace that heats the house. Mess Free Chimney Sweeping of any Wood Burning Fireplace indoor or outdoor, Free Standing Stove, Fireplace Insert, Pizza Oven… Anything that burns Firewood. Mess Free Chimney Sweeping of Pellet burning stoves/inserts. Mess Free Chimney Sweeping of Gas Logs installed in fireplaces. -Replace rusting flashing with stainless steel. -Properly pour new formed chimney crown with bond breaks and drip edge. Or, Clear Seal crown repair. -Building a cricket to divert the water around the chimney. -Chimney cap replacement and/or upgrade. -Tear down/rebuild deteriorated masonry chimney. Installation of energy saving top sealing damper/chimney cap combo. Stage 3 creosote removal with customer applied Anti Creosote Spray or Powder, Professionally applied Poultice Creosote Removal. Dryer Vent Outside Terminations installed. Dryer Vent Reroute to improve efficiency. Ye Olde Chimney Sweepe was founded in 1978 by Dan Kennedy. 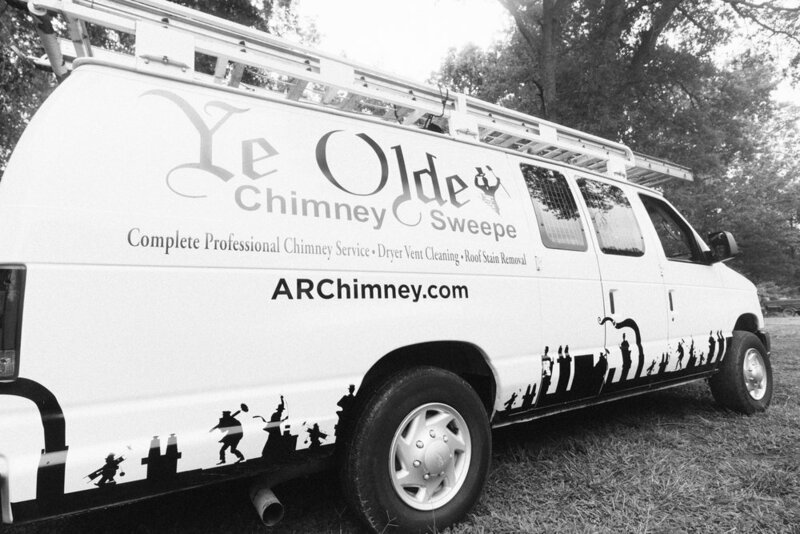 It is one of the oldest continuing chimney sweep companies in Arkansas. Mr. Kennedy ran the business until the late 1980s, when his son took it over. Mark Jenkins bought the business from Mr.Kennedy’s son. Mr. Jenkins ran the business from 1991 to 1997. Finally, Ye Olde Chimney Sweepe was bought in August 1997 by Damon Reed, a professional firefighter since 1994, and his wife, Jennifer. “When I purchased the business, I operated out of a 5’x10’ utility trailer pulled by a Jeep Wrangler and used my home garage,” recalled Damon. In late 2001, Damon purchased a truck and a 6’x12’ cargo trailer. The next big step in the growth of Ye Olde Chimney Sweepe occurred in 2003 when Damon hired his first employees, two off-duty firefighters. In 2009, Ye Olde Chimney Sweepe placed a van in service and had three employees along with himself and Jennifer. 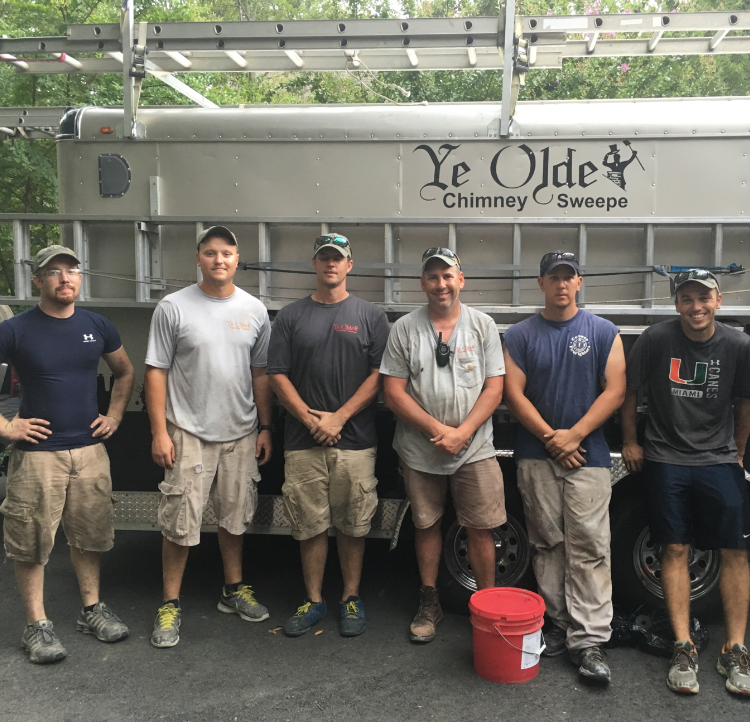 Currently, Ye Olde Chimney Sweepe operates out of a shop/office located at 3155 Cimarron Drive in Conway and a home office, with two service vans and the 2001 truck and an updated larger cargo trailer, which is mostly used for installs. Ye Olde Chimney Sweepe employs three lead Technicians, three Technicians, and one part time Technician; all professional firefighters except one Tech (he’s a firefighter's son). Damon runs the business and is in the field about half the time. Jennifer’s job duties have evolved into a full-time office manager. Quade, Damon and Jennifer’s oldest son, works as the Special Projects Manager. Zane, Damon and Jennifer’s youngest son, helps out in the field and at the shop during the summer and some weekends. "Through the blessings of the Good Lord, Ye Olde Chimney Sweepe has provided for my family for 20 years. Jennifer and I have always ran the business with the golden rule in mind, ‘treat others as you want to be treated,’” explained Damon. 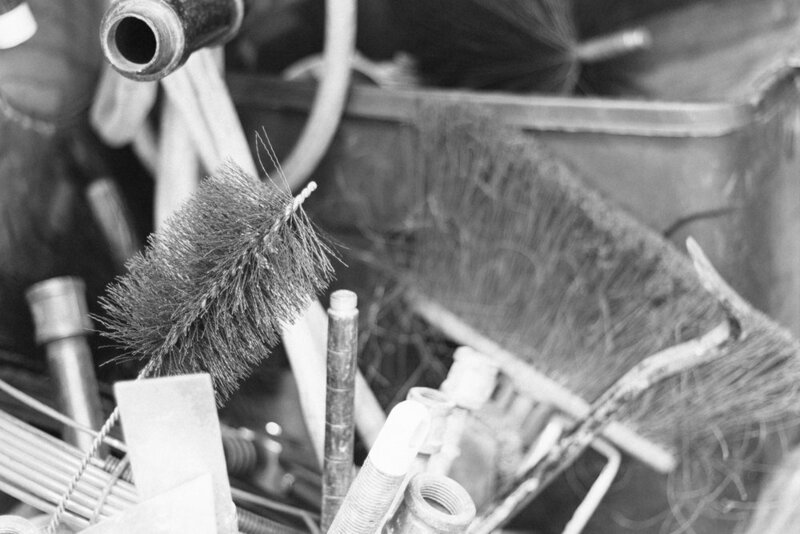 Hopefully, the future of Ye Olde Chimney Sweepe will continue to be beneficial to the community and help keep homes up to fire codes and standards, while steadily growing in the chimney market.